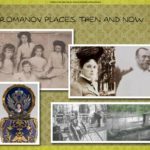 I just love looking at “then and now” photographs of places that have survived the years intact, and almost unchanged and compare what they looked like… And I know many of you do too, so here you go! 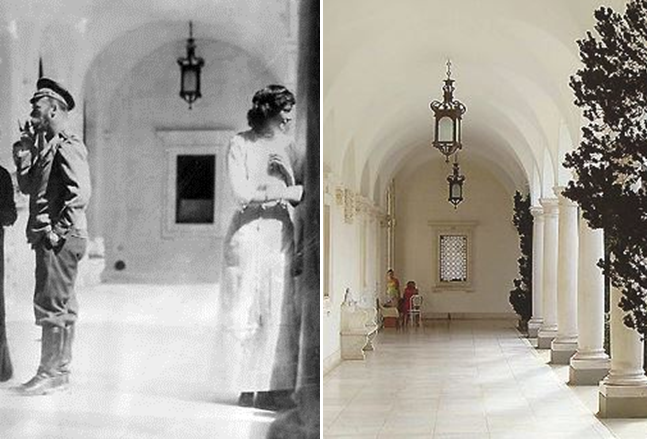 Tsar Nicholas II and Grand Duchess Tatiana at the Livadia Palace, and the way it looks today. 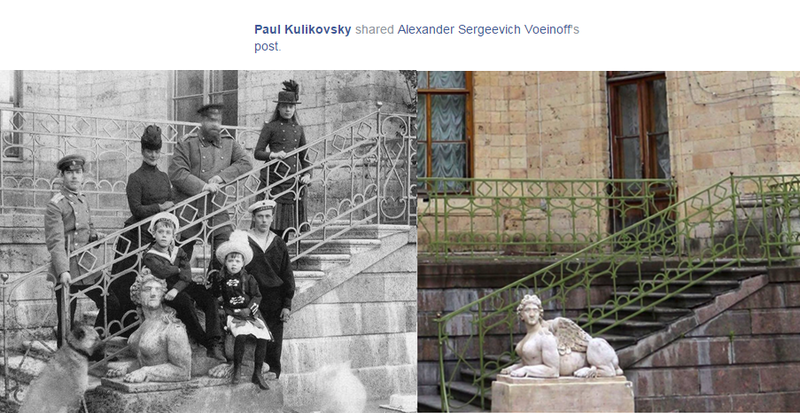 Tsar Alexander III and his family at Gatchina palace. The grand duchesses kayaking on a canal in front of playhouse on Children’s Island at Tsarskoe Selo. Empress Alexandra with the Grand Duchesses Olga, Tatiana, Maria, Anastasia, and Tsarevich Alexei, picnicking in Alexander Park, Tsarskoe Selo. The court yard of the “Grand Palace” (aka Catherine Palace) prior to the Russian revolution; yours truly in 2005 at the staff café located in the same court yeard at Catherine Palace Museum at Tsarskoe Selo. Tsarevich Alexei in front of the Alexander Palace at Tsarskoe Selo. Tsarevich Alexei on a bridge in Alexander Park at Tsarskoe Selo. Empress Alexandra sliding down a snow hill near the White Tower in the Alexander Park at Tsarskoe Selo. 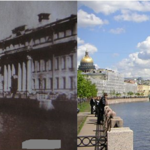 The Romanov family at the pier in St Petersburg. Yusupov Palace on Moika Street, where the infamous Grigori Rasputin murder took place. 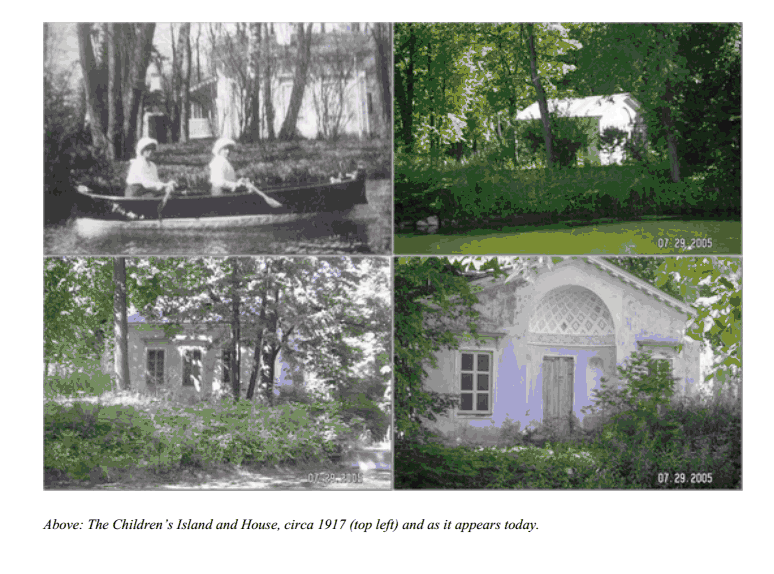 Romanov family and suite working in their garden during home arrest in Alexander Palace at Tsarskoe Selo. 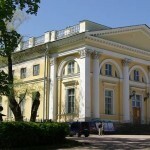 Governor’s house in Tobolsk, Siberia, where the Romanov family was kept under arrest during exile. 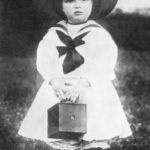 Previous Previous: MARIA ROMANOV: LETTER TO NICHOLAS II, 1915. How haunting to see these photos. 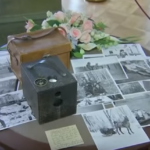 You can almost see the “ghosts” of the family in the newer ones and imagine them in happier times.